The Poor are relieved at their own houses as long as they can be satisfied with 1s. 6d. a week each. When that is not sufficient, they are taken into the Workhouse, which was established in 1774. Before then the Poor were maintained at the expense of 13 sixpenny levies, or about 6s. 6d. in the pound, which raised about £530. The assessments have been reduced to 9 levies, so there has been a saving of 2s. in the pound. The amount paid weekly in sums not exceeding 1s. 6d. is on the average £5, very heavy expense for Out-Poor in a parish of about 1,000 inhabitants. The average number of Poor in the house during the last 5 years was 25, chiefly infirm old people, and very young children. They are principally employed in carding and spinning, but their earnings are too inconsiderable to make any difference. The diet is extremely good: hot meat dinners three times a week, with good small beer; the other days cold meat, if any left, with bread and cheese; broth for breakfast, and bread and cheese for supper except on meat days. Warwickshire: Alcester (4), Arrow, Aston Cantlow, Bidford, Coughton, Exhall, Great Alne, Haselor, Ipsley, Kinwarton, Moreton Baggott, Oversley, Salford, Sambourn, Spernhall, Studley (2), Weithley (Weethley), Wixford. Worcestershire: Abbots Moreton, Feckenham, Inkberrow or Inkborough, Oldberrow. The population falling within the union at the 1831 census had been 15,923 with parishes ranging in size from Weithley (population 34) to Feckenham (2,762) with Alcester itself having a population of 2,405. The average annual poor-rate expenditure for the period 1834-36 had been £6,593. The Alcester Union workhouse was built in 1837 at site to the east of Alcester on the south side of Kinwarton Road. It followed the popular cruciform or "square" layout with an entrance block at the front, behind which lay the four accommodation wings radiating from a central hub, creating four yards for the different classes of pauper (male/female, old/young). The location and layout of the site is shown on the 1904 map below. 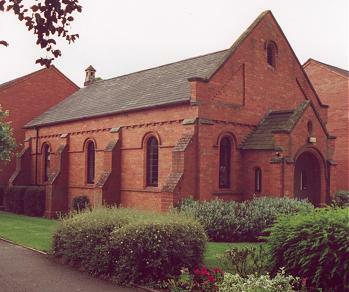 Alcester general view from north, 2000. 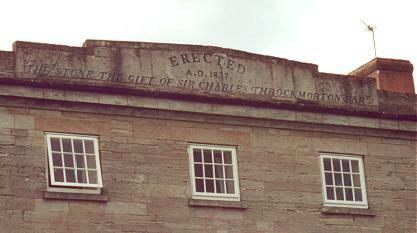 The entrance block, which housed the Guardians' board-room, clerk's office, etc., was ashlar-faced, the stone having — as the prominent inscription proclaims — been given by Sir Charles Throckmorton Bart. 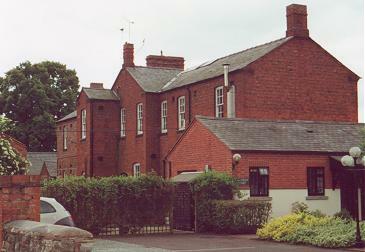 Alcester entrance block from north-west, 2000. Alcester view from east, 2000. A small infirmary block was added at the east of the site, and was extended southwards in 1879. 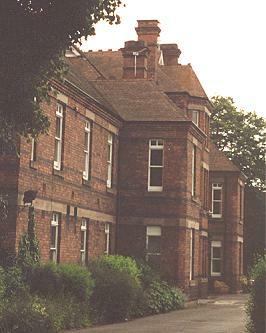 Alcester infirmary block from the north, 2000. A much larger infirmary was erected at the south of the site in 1899-1900. A chapel was erected to the west of the workhouse. The former workhouse, later became Alcester Hospital, and the later infirmary block is still in use. 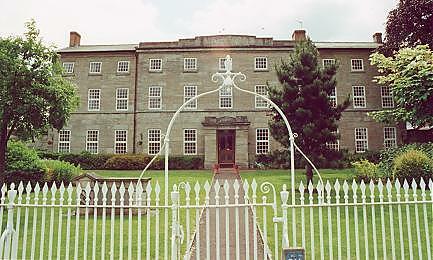 The main buildings, now known as Oversley House, were converted to residential use in 1984. Warwickshire County Record Office, Priory Park, Cape Road, Warwick CV34 4JS. Holdings include: Guardians' minute books (1859-1930); Admissions and discharges (1902-32); Births (1836-68); etc.